The flag of Rapa nui (Easter Island), sometimes known as the Reimiro Flag for the reimiro prominently pictured on the flag, was first flown in 2006. The flag is representative of the Polynesian past and culture of the islanders. 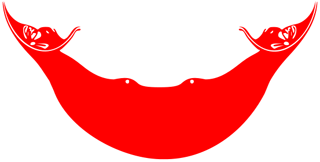 A man's face appears on both sides of the red figure, a figure that reportedly represents a moon. 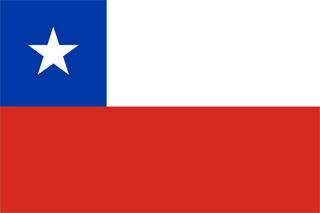 As a special territory of Chile, annexed in 1888, the Chilean flag (shown to the right) is also flown.